Benign prostatic hyperplasia (BPH) is most commonly observed in men of advancing age. Patients with BPH may experience urinary symptoms. For moderate lower urinary tract symptoms (LUTS), pharmacotherapy is recommended, but many patients have symptom progression and require additional surgical intervention such as transurethral resection of prostate (TURP) or prostatectomy. However, these procedures are still associated with significant perioperative morbidity. As a result, treatment-related complications have led to the development of new technologies for the management of BPH. Various treatment options include thermoablative strategies, mechanical, water vapor system, and intraprostatic injection. We review the available clinical data with specific emphasis on unique features of the technology, procedural efficacy and safety, and potential impact on current treatment paradigms. 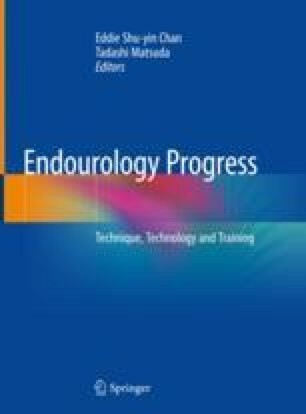 There are new techniques which have been shown to be equivalent to the gold-standard treatment (TURP and prostatectomy), with improvement of LUTS, but significantly fewer adverse effects. Advances in BPH surgery represent a paradigm shift in the treatment of LUTS with BPH. Further studies will help to identify the role of these treatment options for LUTS.